Now the dust has settled, landlords across the UK have had the time to take stock of the effects of Section 24 of the Finance (No. 2) Act 2015 on their personal finances. As a quick recap, former Chancellor George Osborne’s decision to significantly restrict mortgage interest relief essentially categorises landlords differently to other business owners. For more information on the specifics, see some of Optimise Accountant’s comments on Section 24 here and here. How Have Landlords Reacted to Section 24? Some are choosing a ‘wait and see’ approach. Yet, whilst a recent decision by the Irish government to reverse mortgage interest relief restrictions for landlords has been encouraging, the chances of any kind of repeal over here currently seem remote making this strategy somewhat risky. 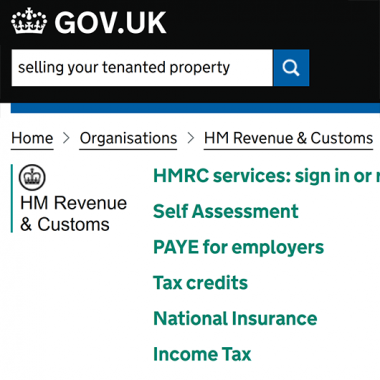 The campaigning work of organisations NLA, RLA, Axe the Tenant Tax amongst others will continue to draw attention to the gross unfairness of Section 24. But wishing for a legislative reversal or retrospective exemption would arguably be unwise. For others, transferring properties into a Limited company structure is being considered – particularly for larger portfolio holders. Here, very careful analysis together with a qualified accountant is imperative. There are stamp duty and capital gains tax liabilities to consider not to mention risks associated with any underlying finance secured against the property owned in a personal name. You will need to look for a new mortgage (at higher rates) and cannot expect to simply swap your existing arrangements. Moving properties into a partnership structure prior to setting up a Limited company is another possibility, but again requires following a specific process compliant with HMRC rules. In short, this is a tricky area and certainly not as simple as some would have you believe. Then there are those that have either decided to sell to consolidate or completely exit the sector completely. The Ministry of Housing estimates that 4,000 properties are currently being disposed of across the UK every month. Should You Join the Buy-to-Let Sellers Brigade? The short answer is no, at least not without closer analysis of your position once the full effects of Section 24 are rolled out. A landlord’s tax treatment is specific to his/her individual financial circumstances. Those in the higher and additional rate bands are most at risk of being exposed. Much will also depend on your own objectives. There are indeed many buy-to-let property owners that are not financially burdened by Section 24 but have simply grown tired of being landlords. Or perhaps you are approaching retirement age, have accumulated a decent chunk of equity in your portfolio and it makes sense to sell up. There are also portfolio landlords looking to reduce their overall level of gearing by selling which, in turn, reduce the level of exposure resulting from Section 24. A logical step could be to dispose of some over-leveraged stock and then perhaps rebuild a portfolio using a more efficient tax structure – such as via special purpose vehicles. Some of the practical considerations are highlighted in the Property Solvers Guide: How to Sell a Tenanted Property. Whichever route you decide to take, it’s never been more important to analyse your current and future position with a qualified accountant/tax advisor to avoid costly mistakes down the line. When you dispose of a buy-to-let property, Capital Gains Tax (CGT) will be due in the following tax year. The amount owed is based on the sold value of the property (lodged at the Land Registry) minus the purchase price and any allowable expenses. The tax owed on the remainder will depend on whether you are in the basic (18%) or higher (28%) rate threshold. You will also be able to access an annual allowance, which rises to £12,000 in April 2019. This will effectively double to £24,000 if the property is owned with your spouse or civil partner. If you are looking to sell multiple properties, it can therefore make sense to spread out the sales to utilise these allowances in an optimum way. Where applicable, you can also take advantage of a number of reliefs. You may, for example, be able to use your spouse’s capital gains tax allowance (assuming they have enough margin to remain within the lower tax bracket) via a Deed of Trust or make pension contributions to get income tax relief and reduce your net tax liabilities. If you previously lived in the property as your home, you are also eligible to Private Residence Relief (PRR). This is deducted from the chargeable gain and based on the number of years as a resident (proof may be required). You will also get full relief for the last 9 months you owned the home, even if you were not living at the property. Other potential mitigation strategies include investing in Venture Capital Trusts (VCTs), a Seed Enterprise Investment Scheme (SEIS) and/or an Enterprise Investment Scheme (EIS). Note that these last three have their relative risks and specific requirements . We would suggest speaking to both your accountant and an FCA-regulated advisor. You can book a call with Optimise Accountants by clicking here.